We are ISO 9001:2008 certified company. 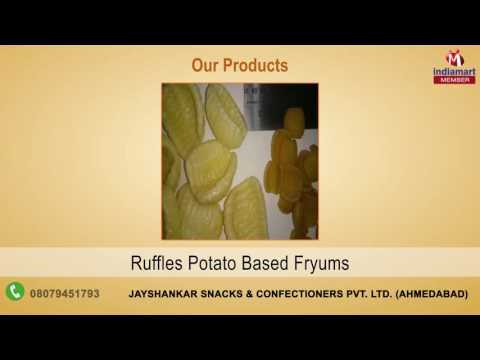 Established in the year 1997 we, %u201CJayshankar Snacks And Confectioners Pvt. Ltd.%u201D are one of the proficient manufacturer, wholesaler and exporter of a wide range of Extruded Snacks and Pellets. Our offered product range comprises of Potato Fryums, Dried Pellet, Fry Pellets and many more. All of our products are widely appreciated for their quality and tastes. There are many other products in our catalogue that shall cater to the needs and demands of the customers.